pan. Place 5 graham cracker sheets down the middle and break 2 more sheets into crackers to fit down the sides. 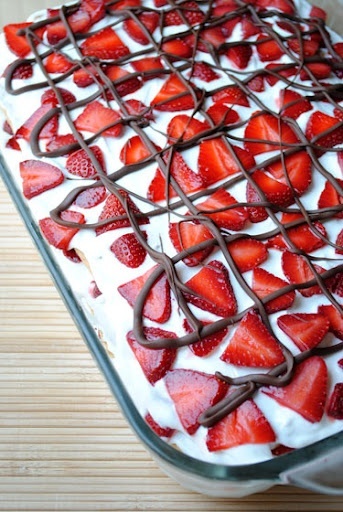 Lightly cover the top of the graham crackers with more whipped topping and then a layer of sliced strawberries. Repeat three times, until you have four layers of graham crackers (you may be a few crackers short on the top layer, but that's ok). You'll end with a layer of strawberries on top.